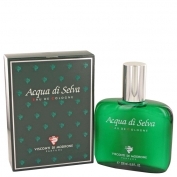 Acqua di Selva by Visconti di Modrone is a Aromatic Fougere fragrance for men. Acqua di Selva was launched in 1949. Top notes are lavender, bergamot, lemon, rosemary and basil; middle notes are thyme, pine tree, cloves, clary sage and geranium; base notes are peat, cedar, musk and vetiver.